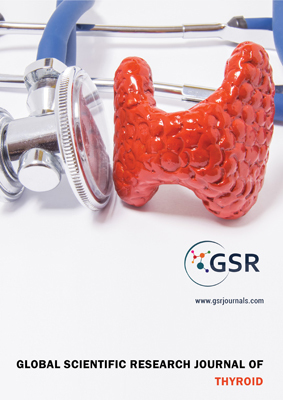 Global Scientific Research Journal of Thyroid is an open access journal that covers various aspects like endocrinology, medical genetics. It mainly includes the Diseases, Diagnosis and Treatment. It shares new issues and developments in different areas of Thyroid gland and diseases. The main objective of the journal is to maintain and develop science and related research at an international level. In order to achieve this it is important to bring into light the outstanding research and development results to the large range of symptoms which affect all age groups. The journal aims to involve in functioning of hormones, thyroxine (T4) and triiodothyronine (T3), disorders and their treatment.